What happened in Cape Town, which is more famously called ‘The Sandpaper gate’ shook the world of cricket. The credibility of Australia as a cricketing nation was questioned. The banned trio Steven Smith, David Warner, and Cameron Bancroft are still serving their terms for having carried out that act. 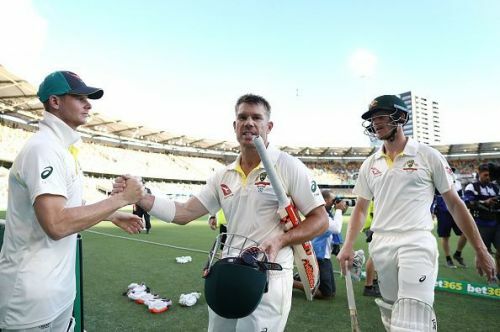 Post that, under a new captain-coach combination in Tim Paine-Justin Langer, Australia are certainly a weakened side looking to reclaim the #1 spot in the ICC Test rankings and are a country who have changed the way they operate on field in a bid to regain the love and support of the cricket loving public across the globe. This would be the first home series as captain for Tim Paine and he would know that a daunting task lies ahead of him. He can take immense confidence from the marvelous mental strength displayed by his side in tiring conditions of Dubai to pull off a fabulous draw. The architect of that performance- Usman Khawaja and their bowling attack( Mitchell Starc, Josh Hazelwood, Patt Cummins, Nathan Lyon, and Peter Siddle) would be Australia’s biggest strengths. India, on the other hand, finds themselves in a rather unique position. They are ranked #1 in the ICC Test rankings and are outright favorites to win this series against a weaker Australian side. India are fresh off a convincing drubbing of a hapless Windies at home and were extremely competitive and came close to beating South Africa and England in their home conditions. This squad that will face off against India would rank as amongst the least experienced sides to play in a home summer. Post the ball-tampering scandal that left players who formed the core of their Test team in recent times- Steven Smith, David Warner, and Cameron Bancroft banned, Australia haven’t been able to find batsmen who can step in those big shoes. It's incredibly hard to fill into the big shoes of Steven Smith and David Warner as not only are they world-class batsmen who can win matches single-handedly, they were the captain and vice-captain respectively prior to them serving bans. Australia’s batting order possess some big names like Shaun Marsh, Aaron Finch, Usman Khawaja, and Travis Head. But against this Indian bowling line-up which has a lot of options and abundance of skill, it would be a real daunting challenge. On the other hand, India have a 18 member squad which is high on experience of having played in Australia earlier, which is a big factor considering the conditions and the bowlers they would be up against. Players like Murali Vijay, Ajinkya Rahane, Virat Kohli, Cheteshwar Pujara have all played a test series in Australia before. Bowlers like Ishant Sharma and Ravichandran Ashwin have played down-under twice already. This is one of the biggest reasons why India are considered strong favorites to win this series. It would certainly be interesting to see how these players use their experience when the Test series starts. Going by the tour game that India played recently, it certainly would give them more optimism as their Test match regulars like Vijay, Rahane and Pujara came good.